The petitioner's husband, Mr Wilfred D'Cruz, was employed as telex Operator in Riyadh (Saudi Arabia) in a company named “M/s.Jassir.S.AL-Obeid Corporation for Trading and Contracting”. On 18.05.1985 when the said Wilfred D'Cruz was walking towards the bus stop from his office, some explosive substance kept in a garbage can by the side of the road exploded, killing him instantaneously. The company, under which the petitioner's husband was employed, sent a communication dated 28.07.1985 addressed to the Indian Embassy Riyadh sending a cheque of Saudi Riyal 6668/- as salary of May, 1985, transportation allowances, Housing Allowances, overtime work and Ramadan Bonus. Alleging that the compensation was unjust ,the Petitioner approached Indian embassy at Riyadh, Kingdom of Saudi Arabia to take steps through proper channel before Kingdom of Saudi Arabia(KSA) to award her as well her children, the claim of death compensation(blood money) towards death of her husband from the employer and concerned authorities of KSA.The authorities through embassy of Kingdom of Saudi Arabia informed the petitioner that no death compensation is admissible, as no one has been held responsible/identified for the death of petitioner's husband. It was further stated that under Shariat Laws, death compensation is to be paid by the person held responsible for the death. In the W.P(C) filed before the single bench, a direction was issued to the Foreign ministry to pay a compensation of Rs 5 lakhs to the petitioner. 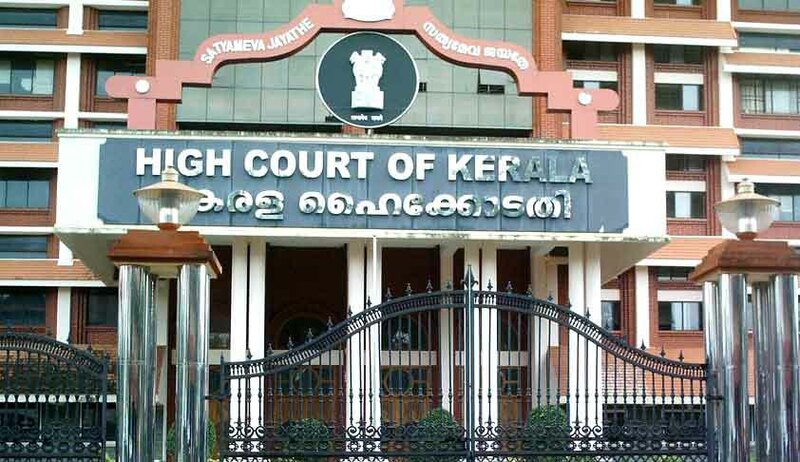 The State government considering the pitiable financial situation of the petitioner agreed to awarded a further compensation of 1lakh to the petitioner .Noting the above, the single judge closed the W.P(c).The matter was taken in appeal to the Division Bench , impugning the action of the single judge in refusing a direction of Mandamus to the Government of India to prefer a claim against the Saudi Arabian Government in the International Court of Justice for and on behalf of the appellant for the death compensation of her husband. The appellant contended that she suffered the loss of her husband , an Indian national in a foreign territory which could not be properly redressed by authorities of KSA.The said inaction from the authorities amounted to an international wrong/breach of duty which could only be remedied in International Forum i.e International Court of Justice and hence ought to done so on behalf of the appellant, by the Government of India. After thoroughly understanding the relevant authorities namely Stark’s International Law as well as D.W Greigh’s, International Law more specifically to “International Claims-I State Responsibility”, perusing foreign judgments and examining various statutory prescriptions, leading to Articles 34 to 37 contained in Chapter II of Statute of International Court of Justice and Article 92 in the statute, the Division bench comprising of Chief Justice Ashok Bhushan and Justice A.M Shaffique rejected the contentions of the appellant holding that authorities of KSA were not in any manner liable/responsible to compensate the appellant for the untimely death of her husband. It was further opined that a writ of mandamus could not be issued to Union government to claim compensation before International Court of Justice against KSA. The Division bench observed:- “In the present case it is clear that although the Embassy of India, Riyadh, KSA had taken the claim of the petitioner with the Ministry of Foreign Affairs, KSA, no relief could be obtained diplomatically. It is true that in all cases it is not necessary that a claim under local laws be raised. But the aforesaid principle is also a principle while considering a State to raise a claim before the International Court of Justice. There is one more aspect of the matter which needs consideration. As per the Statute of International Court of Justice it is the State which can be a party to the dispute raised before the International Court of Justice. Article 34(1) as noted above provides “only States may be parties in the case before the Court.” The decision as to whether a particular claim is to be raised in the International Court of Justice is primarily in the discretion of the State”.